FAU’s research strength and excellent teaching provides outstanding study opportunities for students from abroad. Not surprisingly, this also attracts a large number of international scientists looking for a host university for their chosen research. FAU’s Welcome Centre takes care of these foreign guest scientists. “We support international scientists during their complete stay, providing help and advice to ensure their time here in Erlangen and at FAU is as pleasant as possible,” explains Lucija Kozeljnik, Welcome Centre Assistant. Located in central Erlangen, the Welcome Centre is close to the railway station and easy to reach. The team looks after and supports international researchers during their stay – even before their start at FAU and their arrival in Erlangen! For example, the Welcome Centre helps with administrative procedures, such as registering their place of residence, opening a bank account, or in the first days of university life. 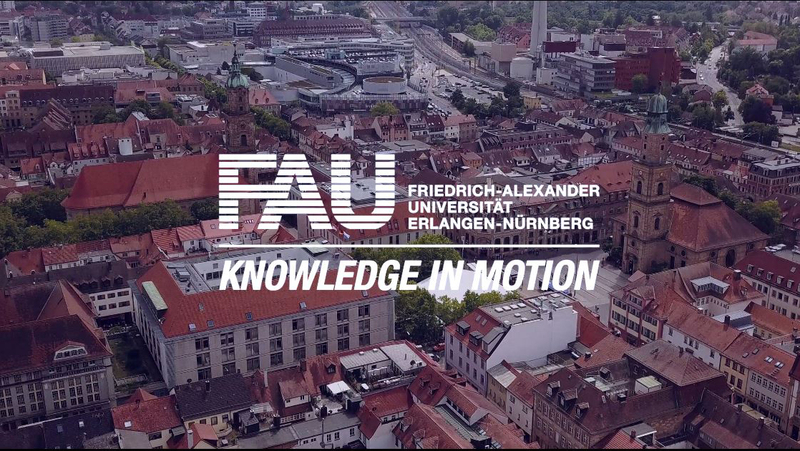 “We want international researchers to be able to concentrate fully on their work at FAU. For this reason, we try to finalize as many formalities as possible before the scientists begin their research,” says Lucija Kozeljnik. There are also a range of offers available for families traveling with these scientists. In collaboration with the FAU Family Service, kindergarden places can be requested via the Welcome Centre. In addition, the Centre provides information on the Bavarian school system, potential financial support for families, navigating public transport, not to mention tips on leisure activities and the cultural offerings of the metropolitan region. In addition, the Welcome Centre organises its own events, such as excursions, meetings or intercultural training, which aim to connect scientists with each other. Finally, before departure, visiting scientists can contact the Welcome Centre team to plan their departure and to receive assistance with necessary steps such as de-registering as a resident, terminating insurances or contracts. For further information on FAU’s Welcome Centre, or about your stay at FAU, please visit the Welcome Centre´s website or Facebook page, or download the information brochure “Welcome. Living in Germany. Research at FAU.” free of charge as a PDF.